The British payments group finalised a 7.9 bln pound ($10 bln) takeover by its U.S. rival after twice extending a bid deadline. Worldpay investors were unhappy at the price and offer of mostly U.S. shares. A UK listing and the option to take more in cash should appease them. U.S. payments company Vantiv and British peer Worldpay on Aug. 9 announced a merger to create a company with a combined enterprise value of $28.8 billion. Vantiv will offer 55 pence in cash and 0.0672 Vantiv shares for each Worldpay share. Shareholders in the British company will also receive a dividend worth 5 pence per share. 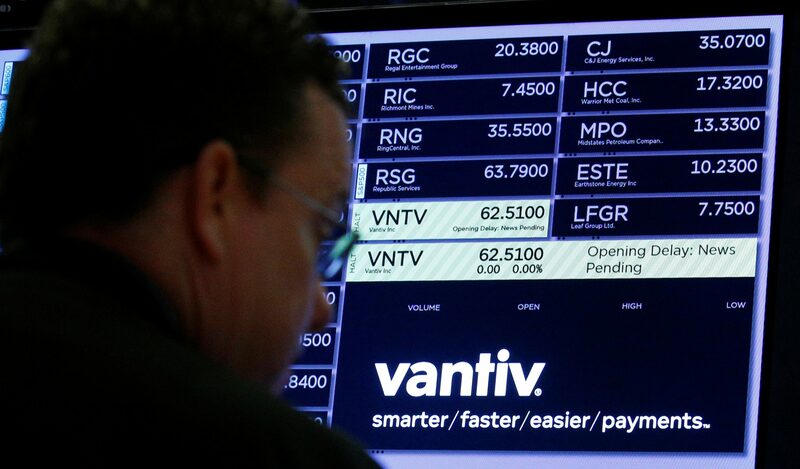 Based on Vantiv’s closing price on Aug. 8, the offer values Worldpay at 397 pence per share, putting its enterprise value at 9.3 billion pounds ($12 billion), including net debt of 1.4 billion pounds. The deal will include a “mix and match” facility allowing Worldpay shareholders to vary how much of the offer they receive in shares versus cash, as long as the aggregate proportion of cash to shares stays the same. Worldpay shareholders will own approximately 43 percent of the new business, while Vantiv investors will have 57 percent of the new U.S.-based group, which will seek a secondary listing on the London Stock Exchange. The group will be led by Vantiv boss Charles Drucker as executive chairman and co-chief executive officer. Current Worldpay boss Philip Jansen will report to Drucker and act as co-CEO. WorldPay shares were up 0.5 percent at 384 pence by 0930 BST on Aug. 9.